The movie Casablanca came out in 1942, the same year my characters Fletcher Dukes and Altovise Benson were born. I love the opening scene for Bogart where director Michael Curtiz has the camera find character, Rick Blaine, playing a solitary game of chess. 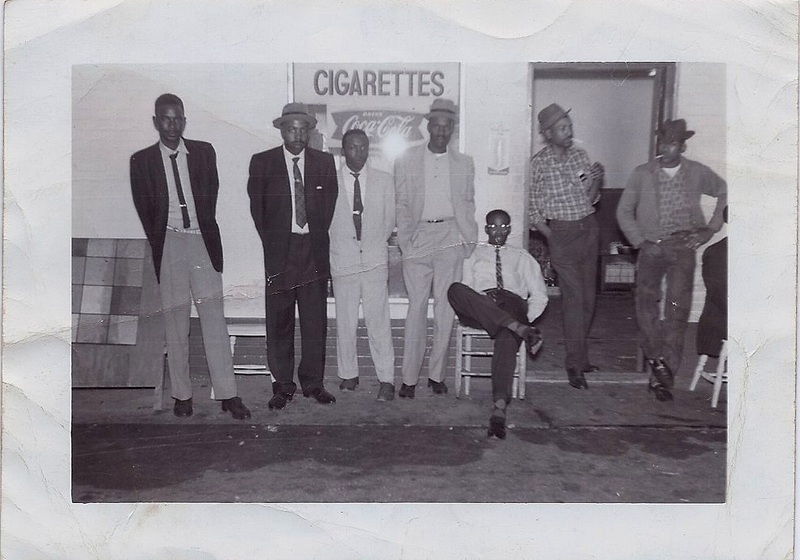 My dad, Silas Jones, standing in doorway of Atlantic Gas Station he ran in 1960s. For the checkerboard they used a piece of old plywood, painted the squares with black shoe polish and bottle caps were used as pieces —half with cork side up. In that small room filled with cigarette smoke and the smell of gasoline and oil, they sat the board on an overturned 5-gallon plastic bucket, pulled up mix-matched chairs and the game began—they slapped those bottle caps down along with friendly quips and jabes.